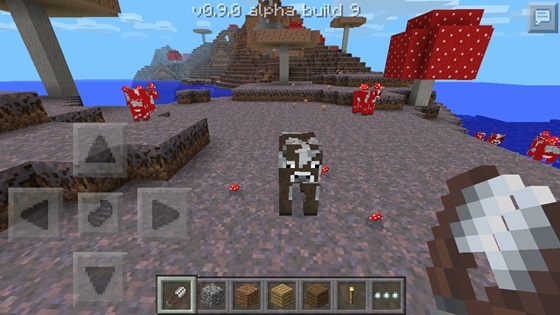 Today we will speak about the cow mushroom biome. So, usually, such a cow - this cow with mushrooms, and you can see this right now on the screen. You can get it with stewed mushrooms, and it's really cool. But I'll talk about this later. Now I will show you what you will need to got hold of stewed mushrooms. So, really, you need a cup. I recommend two or more cups, but one is enough. So if you want to get a cup, you need to find a mushroom cow and click on her. Now I will explain why two or more cups better. That's because with them you can get Mushroom Stew themselves without using cups and cups to get more, and they can also reproduce, so you will secure a few cups. This clearing I found very useful for me in every sense, for you it would be useful too. Good to find such places in the game - you can replenish their stocks and have a little fun. 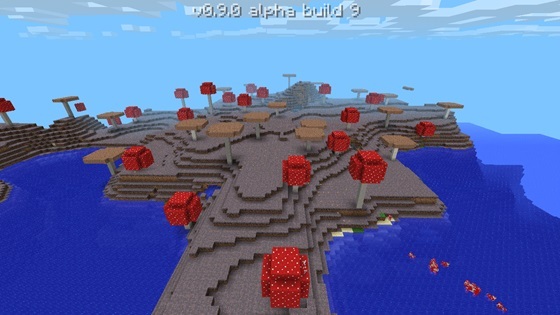 So, if you're interested if you can transform cow mushroom biome in common? The answer is "yes." Yes, yes. You can. All you need for this - it's shears. Send them to the mushroom cow to fell a few red mushrooms, and it is transformed into an ordinary.